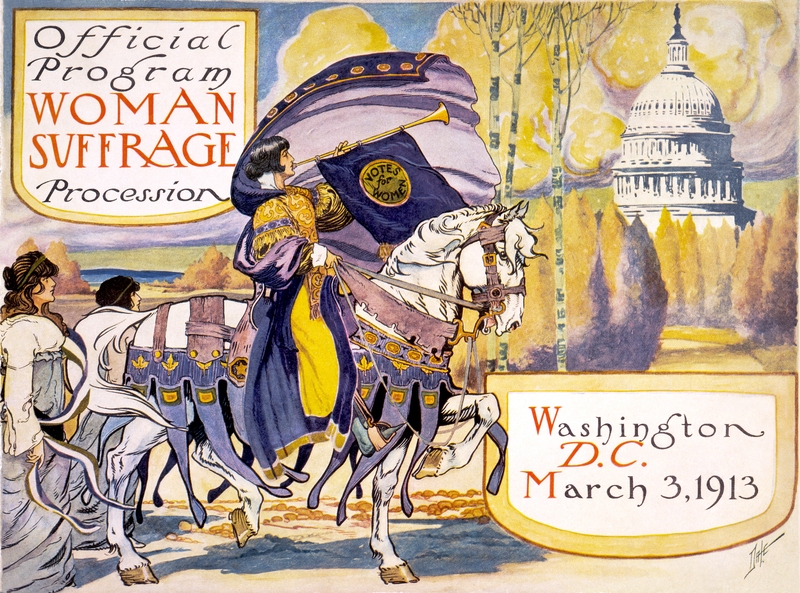 Alice Paul of the National American Woman Suffrage Association organized the first women’s suffrage parade in Washington, D.C. on March 3rd, 1913, the day before Woodrow Wilson took office. The timing was intentional as a “march in a spirit of protest against the present political organization of society, from which women are excluded"
Black organizations like the National Association of Colored Women and the Delta Sigma Theta Sorority of Howard University intended to participate. However, white southern suffragists threatened to boycott because of those intentions, and so Black women were asked by Paul and the NAWSA to not participate or to march in the back of the parade in a segregated unit to avoid conflict. Some women, like Ida B. Wells-Barnett, refused to march in the back of the parade, and all 22 members of The Delta Sigma Theta Sorority participated. They were the only African American women’s organization present. Close to 8,000 marchers showed up and they quickly encountered violence. The police did not intervene effectively, which later resulted in the replacement of the District's superintendent of police. It ended up taking a troop from Fort Meyer to settle the mob and by the end of the day one hundred marchers had been taken to the hospital. This would not be the only violent incident in final years of the women’s suffrage movement.